I’ll be the first to admit… I’m not big on maxi dresses. Perhaps it’s my shorter height (all of 5’2″ over here!) 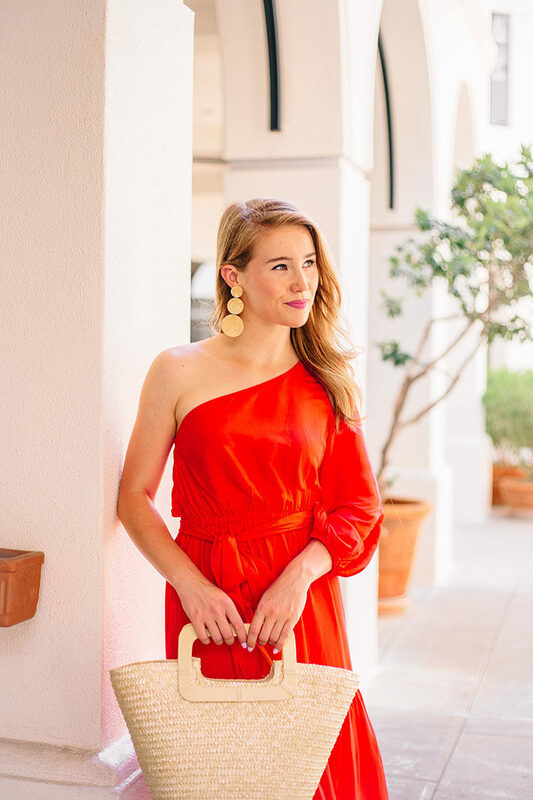 or my penchant for flirty, feminine pieces, but I have grown up taking things to the tailor to get hemmed, it’s safe to say that maxi dresses seldom make the cut. 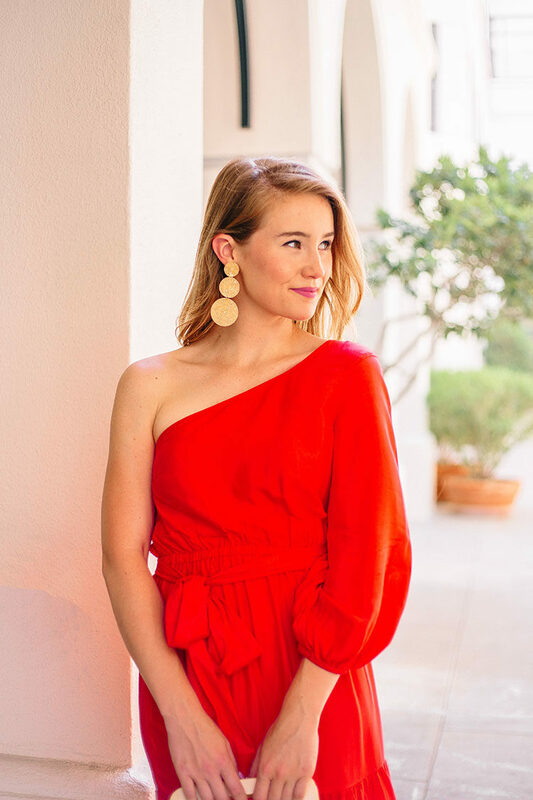 That is, until I came across this fabulous red one shoulder maxi. While shopping for my family’s two week trip to Europe, I knew I wanted something striking and flowy in my suitcase, and this dress fit the bill perfectly! I ordered it online (from Nordstrom, but found it fully in stock HERE), and when I actually tried it on for the first time I was shocked by the gorgeously-flattering fit! (I’m wearing an XS, which is my usual size.) 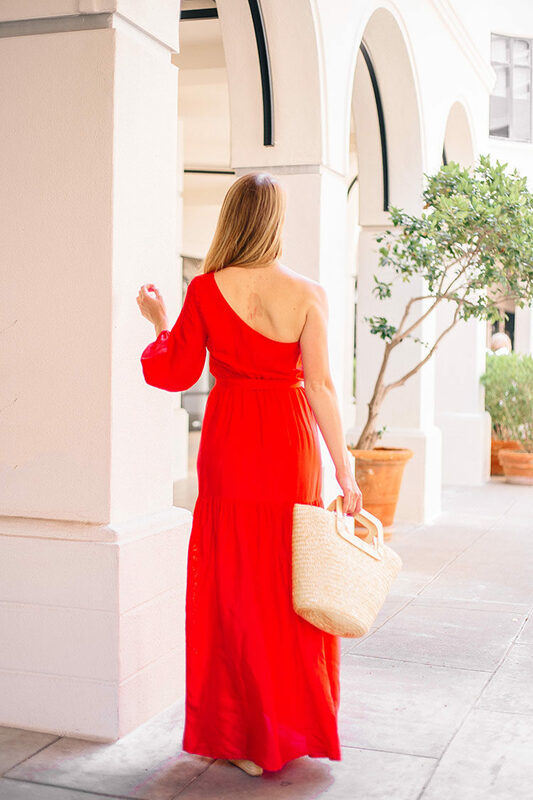 With the well-placed sash at the waist, this is one of the first maxi dresses I’ve donned that doesn’t swallow me up, but rather accentuates all the right places. We just arrived in Paris yesterday afternoon (after a perfect week and a half in Italy!) and I’m looking forward to wearing this to dinner tonight! Wishing all of you a wonderful Monday! Thank you for your understanding with my less-than-usual posting schedule these past two weeks. I’ve been trying to soak up every moment here! Such a cute dress! The earrings are gorgeous, too. A beautiful and superbly elegant asymmetric red dress! Great! This is SO cute! 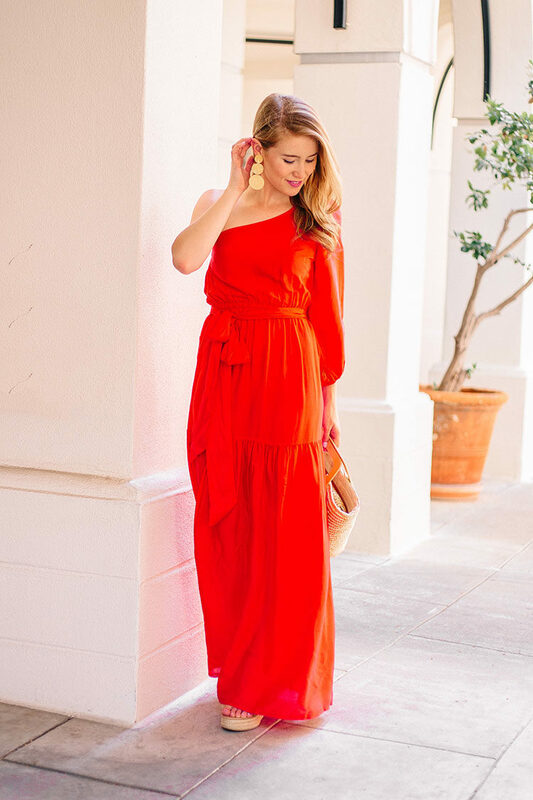 I love this maxi on you!